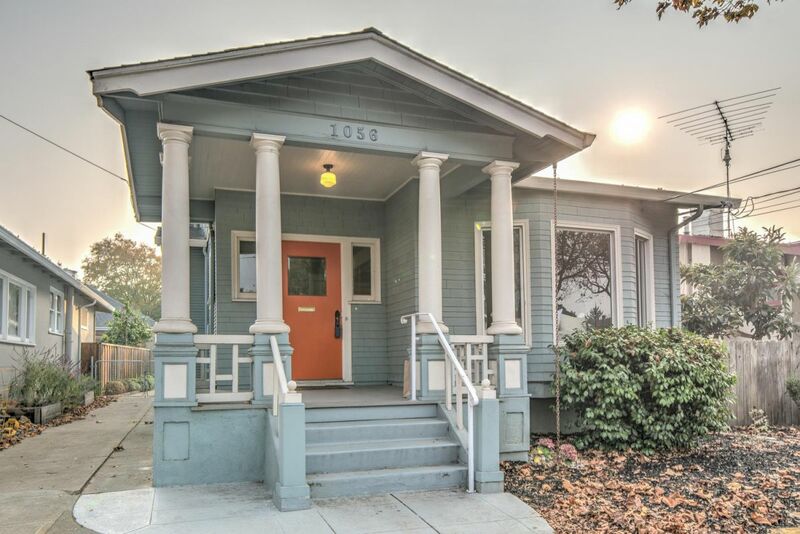 Charming Home in Central Alameda! Fall in love with this charming one-story Bungalow! Situated in a friendly community & on a beautiful treed-line street. Home offers 2 spacious bedrooms, 1 bath, large laundry room, bonus room in back, long driveway & garage parking. Easy to add 2nd bath or master bedroom. Features a spacious living room & formal dining with french doors, fireplace & built in hutch. Kitchen with eat in area & gas stove. Beautiful classic columns at front porch & Victorian details. Hardwood floors. The large backyard patio is perfect for many memorable gatherings, relax or play. 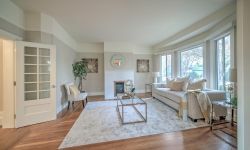 The garage upgrades provide extra storage, entertainment possibilities or gym/den/studio.Home is centrally located, walk to top rated schools, parks, playgrounds, minutes to shops, groceries, cafe, restaurants, the water front, Alameda Landing, South Shore center & Park Street. Great commute by ferry, Transbay to SF, Car Sharing & BART. Easy access to 880 & Oakland airport.